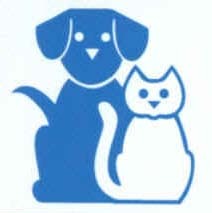 The staff members of Yukon Pet Care Clinic include both full and part-time employees. Some have been at the clinic for several years. All have pets of their own, and they understand your concern for your pets’ wellbeing. They are trained to answer many of your questions about health care, nutrition, and training. 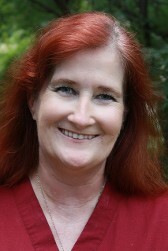 Hello :) My name is Trisha and I have been working at Yukon Pet Care Clinic since 2003. 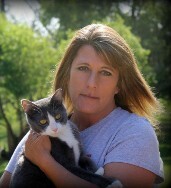 I love spending my days with animals and helping them with their recoveries. 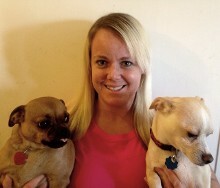 I have two chihuahuas named Juneau & Chase and three cats named Boo, Skippy, & Cooper. Hi, I’m Robin, an afternoon receptionist. I was born in Richmond, Virginia, and raised on a farm in Franklin, Virginia. I attended Virginia Wesleyan College one year. I am an Army Reservist, a mom, and a wife, married 36 years. I’ve raised 2 boys who are now young men. I have two great pyrenees, Pax and Persephone, a corgi named Ossie, and there are also 3 cats, Ghost, a long-haired gray beauty, London, and Moonshadow. All are rescues. My interests are animals, nature, crafts, and dance. 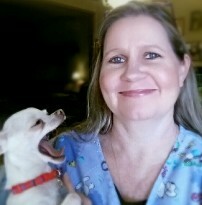 Hey, I'm Cyndi! I was born in Spain, and grew up in both Kansas and Oklahoma. I graduated in 2006 from Capitol Hill High School in OKC, and currently live in the McLoud area. I have a 8 year old daughter named Delilah. I just got my bachelor's degree in political science and I work at Mabel Bassett correctional center, but I'm still at YPCC on the weekends. I have 4 dogs, 2 cats, a potbelly pig and various other critters! Hi, I'm Jennifer. I've been at YPCC for 10+ years. I have several dogs, cats, horses, and guineas. 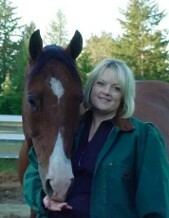 I have a great interest in training animals and healthy nutrition. I have two wonderful children, and a most precious grandson. Hi, my name is Robin and I am the practice manager. I am originally from Poulsbo, Washington. Our family moved to Yukon in 2008. I have four grown children and one grandchild. My husband and I enjoy spending time on our boat, riding our bike, or spending time at the track. I have a lab and a rottweiler and a persian cat. I enjoy working obedience with my rottweiler, and I'm raising and showing American Bullys. My name is Kat. I'm 26 years old, a wife and mother. We share a house with two fur babies - a cat named Buffy and a husky mix named Blue Skidoo. I have lived in Yukon for 6 years and spend my free time reading and crocheting. I want to continue to work with animals in every way I possibly can. I want to learn all I can to teach people how to properly care for their pets. Hi, my name is Christina. I was born in Germany but moved stateside a year after my birth. I moved from Kansas to Oklahoma when I was five, and have been living here ever since. 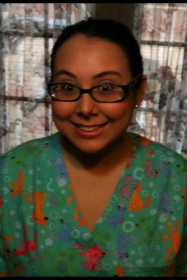 I have been a veterinary assistant for 8 years with 1 year experience in ER Vet Med. 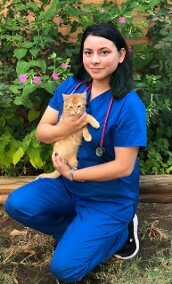 I am currently going to school to become a Registered Veterinary Technician and will hopefully go forward to obtain my Veterinary Technician Specialty in dentistry or anesthesia. I am married with a son, 8 chickens and 3 dogs. In my spare time I enjoy reading, singing, and anything unicorns. My name is Mistery, and I am 26 years old, born and raised in Oklahoma, currently residing in Yukon. I graduated from Yukon High School in 2009 and went on to play college soccer at USAO. I have a beautiful girlfriend, Jennifer, and we have 2 dogs, Grace and Vader. I am also a professional boxer and plan on going as far as I can with fighting! 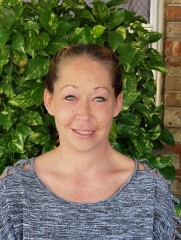 I am Angela, 44, born in Oklahoma City, and I am a part-time afternoon receptionist. I have lived in the Yukon area for 10 years. I graduated from Western Heights High School in 1991. I have a Bachelors Degree and am currently working on my Masters in Management and Leadership. I am married with two girls, Dakota & Emma, and eight dogs, Molly, Lady, Piglet, Porkchop, Cowboy, Snow, and Alaska. My name is Bobbie and I'm a receptionist here at YPCC. I have 4 dogs; 2 are Maltese, 1 is a Shihtzu and 1 is a Chihuahua. My husband and I just recently moved to Oklahoma from Michigan, however I was born and raised in south Texas, where I attended Texas A&M International University. My hobbies include learning and reading in different languages. I am proficient in Spanish, a bit of Brazilian Portuguese, and a few phrases and greetings in German. 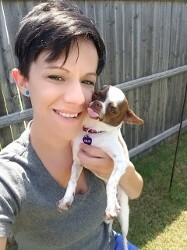 My passion has always been for animals, which I why I love being a dog mom.